Excellent bullet. Enough power to drop the knockdown targets at winter Range. Clean to load and extremely clean to shoot. The go to bullet for pistol and rifle. 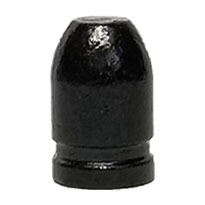 I have been using the Red Polymer 130 Gr bullets for sometime, but it was nice to see an option in Black as well as a slightly different shape. 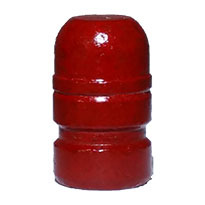 These work just as well as the Red ones, easy to insert into the shell casing, don't require separate lube, seem uniform and shoot straight, and don't lead up the barrel. Having a different color is a nice option. Great bullets and they load easy and best of all "no lead to worry about". 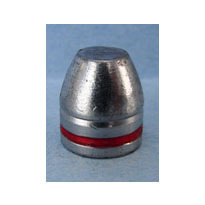 I have re-ordered from Badman Bullets, many times. Orders are promptly handled and shipped. 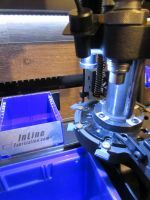 I have not experienced any issues with orders and shipping, not have I had any problems with the bullets themselves. They load properly, they shoot cleanly and accurately. I have recommended them to others. Especially after they ask me, "where did you get those pretty red bullets?" 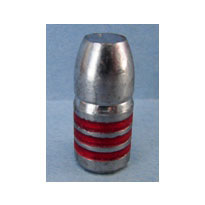 The only bullets we shoot, feeds great in our 92's and our 73's. These were recommended by a fellow shooter. Ordered a 1000 to try. They are great. Consistent quality & very accurate. I have had high lead levels in the past & feel these will help me avoid that in the future. The bullets exceeded my expectations!